Microsoft has not revealed a lot about its upcoming operating system Windows 9 but from the tidbits the company has released and rumors it appears as if it will be closer to Windows 7 than it is to Windows 8 interface-wise on the desktop. Since this is somewhat of a restart, Microsoft could use it to integrate programs into Windows 9 that improve the operating system considerable for desktop users. If you have worked with a version of Windows for some time you probably have your own selection of tools and programs that you consider must-have and install immediately after you load the system for the first time. This top ten list is my selection listing programs that I'd like to see integrated into Windows 9. Since this is Ghacks, I encourage you to post your own top 10 list in the comments so that we get different opinions as well and a great list of programs to try out. You should see those programs as examples for functionality that I'd like to see integrated into the operating system. Windows needs a better search, especially when it comes to file searches outside of the scope of the start menu and programs folder. Everything is my favorite search program for Windows because it is incredible fast and easy to use. It offers a streamlined interface and mighty search options that should be sufficient for most users. Using two explorer windows side by side is more comfortable than having to handle two separate explorer windows or using the clipboard to store operations. 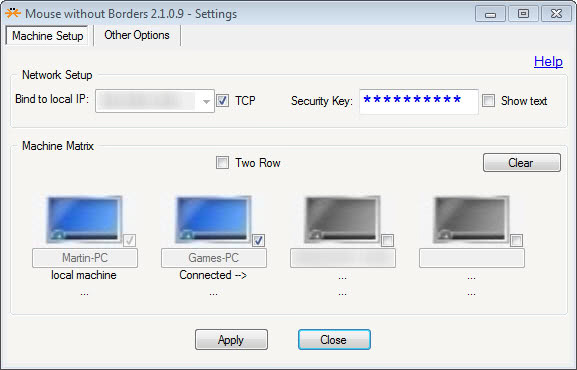 FreeCommander offers other features but the core feature that I'm after is the dual-pane mode for Windows Explorer. Microsoft's Enhanced Mitigation Experience Toolkit improves the security of the operating system by mitigating various types of exploits that slipped by the system's defenses. While not a catch-all software, as software can be designed to bypass EMET, it works wonders against many attacks that don't. Of all the awesome programs that Sysinternals has created, Autoruns is my favorite. Windows lacks a proper autostart manager that covers all areas and provides you with all the information required to enable or disable entries. While it is possible to do so manually, it requires lots of work and is not very pleasant. While artists can create stunning pictures using the built-in editor Paint, it is far from usable for the majority of Windows users. That's were a better alternative such as the excellent Paint.Net comes into play. It supports many features that Paint does not and then some. While not as feature-rich as expensive alternatives such as Photoshop, it provides a great experience and functionality. The program enables you to use a single mouse and keyboard on multiple systems connected by the software. This is excellent for copying files or clipboard information from one computer to another among other things. A great sandboxing program that runs programs in a secure environment so that they cannot affect the underlying operating system directly unless you choose to do so. Windows needs a tool to check for software updates so that users know when updates are available. Integration of a program like SUMO, or that functionality at the very least could improve security and stability for many Windows users. Windows can handle zip files when it comes to archives but does not support all the other popular formats out there such as 7z or rar. Bandizip is a great program -- it replaced 7-Zip my previous favorite recently -- by doing most things just a little bit better than the program. Windows supports basic burning operations and ISO burning, but lacks all the other features that one would expect from a modern operating system. ImgBurn adds that much needed functionality to the operating system. It supports all major image formats and can burn other types of disc as well such as audio CDs. 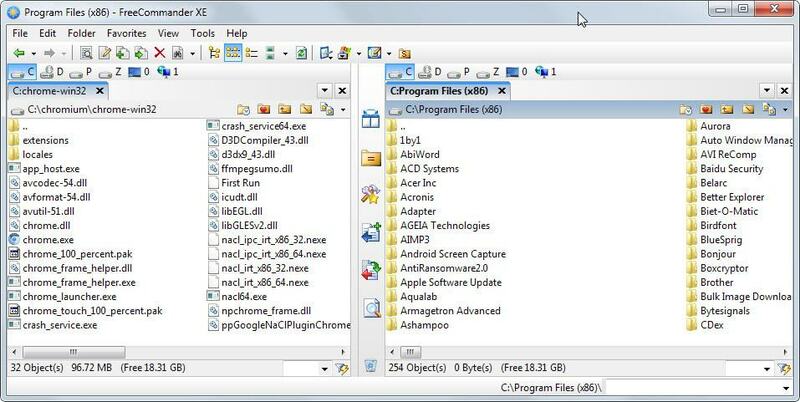 Now You: Share your top list of programs you like to see integrated into Windows 9 below. A list of ten programs that Microsoft should consider adding to its upcoming operating system Windows 9 to improve its core functionality. I’d rather see Notepad2-mod than Notepad++. Simpler looks, more in line with regular Notepad, but quite a lot of power under the hood. The people who wrote Paint.net actually used to work for Microsoft. Need an always on top button to pin windows. Outlook notifications come to mind most. Can’t agree more with this overall list though! A better customization center for the overall look is sorely need also. The old Taskbar properties and Personalization screens are very underwhelming at this point. And how about Auslogics registry cleaner? Auslogics is bad. I saw a noticable HDD slowdown after using it. After using Defraggler, the speed improved a lot. LOL! Hahaha! Did you really do any test before posting assumtions? 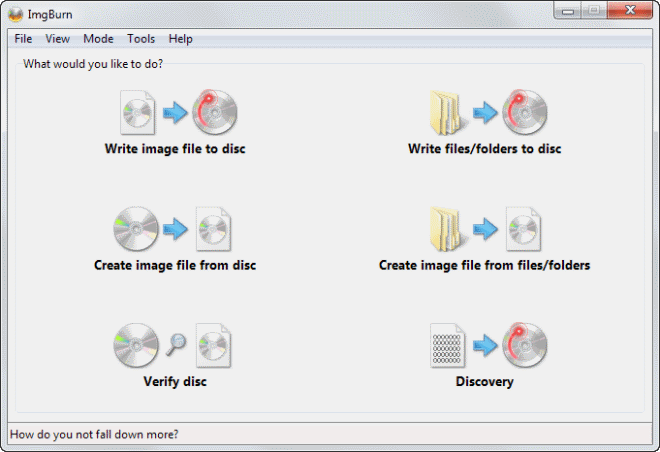 Defraggler and Auslogics Disk Defrag use the SAME windows defragment API. Its not a good API, but gets job done. In fact, fragmentation problem with windows is one of the reasons I do all my work under Linux/Ext4. The last tool that didnt use DefragAPI was Norton Speed Disk 6. I tested that one as well. Defraggler comes armed with lots of malware. Auslogics has much less. Both have official “portable” versions, that is not publicly speculated and are crap-free. 2) make sure that not only files are continous, but also there are no space between them. Thus newer created files will not split into mirriad of .. splits and hopefully start as one single piece at free space. This is called “free space defragmentation” in defraggler and “optimization” in auslogics. This is where Defraggler FAILS hard. Do yourself a favor – install both portable versions and do full space defragment – twice or tripple. Then do some read-writes and repeat the tests. You will notice that not only Defraggler trying to put the whole Filesystem on its head after a defragmentation pass, it will also do that on second and further pass – fully ignoring maintance of a common logic. Defraggler is useless. Yes, I will be more than happy if Piriform fixes that. Or, actually, I will not, since I hardly use windows (1 hour in a week for gaming,.. all because I am too lazy to transfer all that garbage inside WINE container). * Now, a big funny splat. DefragAPI that all defragmenters must use, does not allow full filesystem block defragmentation – it ALWAYS leaves holes in filesystem sectors, meaning no matter how much time you defrag and how often you consolidate free space, there will be holes left and newer files WILL ALWAYS write in that holes. Defragmenters not using DefragAPI do not have this problem… they have a problem of flip side of coin. Fully filling sectors costs a lot of time. A full defragmentation of a hard drive with Norton Speed Disk 6 takes …2-5 hours. And in the same time, because they bypass DefragAPI, applications are changing stuff on disk. That means – the time defragmentation is done, disk will again become fragmented. I heard EMET has been hacked. Have you tried Explorer++? Works great in Win 7 and 8. It can be set to completely replace Windows Explorer. I think I have reviewed Explorer++ before here on Ghacks. EMET has been bypassed by researchers as far as I know. 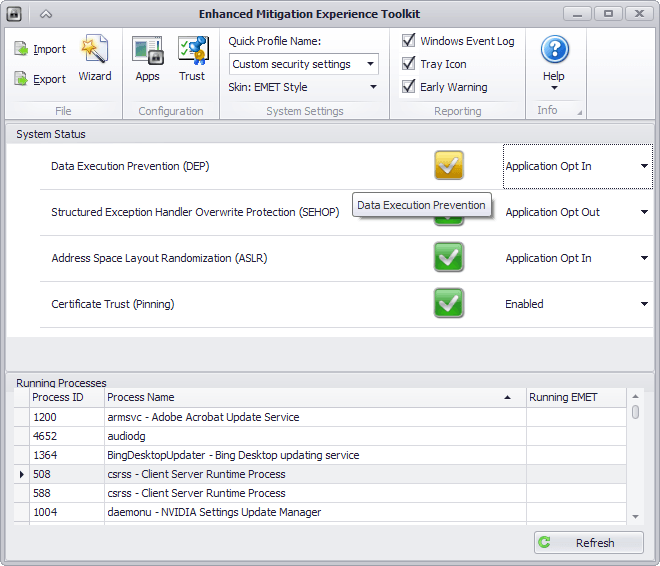 EMET bypasses was for 4.1. Because of this a lot of improvements has been made in 5.0 including for the option Deep Hooks which is now on by default for the first time. The problem with the Everything search is that it doesn’t locate junctions or hard links ….. the reason I don’t use it and still use Locate32. If anyone knows a more recent “better” search that does find these entities, I would like to know. What is it you want it to do? Personally I want it to find a file where it actually is, for example G:\Downloads and not C:\Users\Christoph\Downloads. Try exshail file search that preview images also while searching, if file type is in known image format like jpeg, bmp, etc. from https://sites.google.com/site/exshail/exshailfilesearch with more export list options. I was also going to suggest Notepad++, but I see it’s been done already. 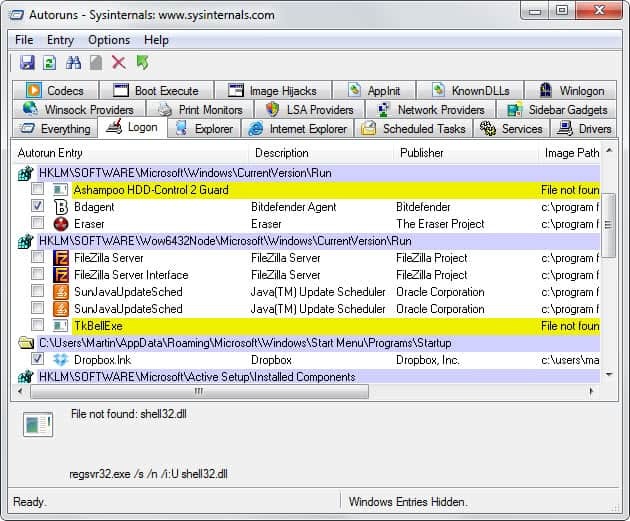 Then there’s that other useful thing from Sysinternals: Process Explorer. I use it more than the default task manager. Forgot about a better task manager. While in the past I have used Process Explorer and loved it, lately I have been using System Explorer – http://systemexplorer.net/. Yes, I agree 100%, Process Explorer is definitely THE tool which should be in every damn default windows installation. Period. Thank you for revealing me OneCommander. I am already in love. If it did not have the shadows in the interface it would be perfect fit for next windows with that 2d minimalistic look and feel. If they’re going to include a better image editor like paint.net, then they may as well include a movie editor such as Windows Movie Maker as well. But seeing the blinkered way they’re heading, they’ll probably just include useless ‘Metro’ app versions, instead of proper desktop software. Or maybe even print to TIFF, instead of print to PDF. File Explorer just needs tabs and a little work in general. Yes, VLC or SMPlayer or MPC-HC! Windows installs with just sooooooo much stuff missing it’s not funny. They could easily buy or license most of these products, give them a uniform look/feel and integrate into Windows – I say this with some trepidation, as I wouldn’t want any of these to morph into something bloated and hideous. There is so much more I haven’t mentioned, but lets not get carried away. Nice list Martin. If I could add anything, I’d have to suggest WinPatrol and CCleaner, they’re among the first things I install on every computer I own/work with. hellon I have been a paid user of listary for years. It is a fabulous piece of work. Teracopy is not decent. It fragments files by default. I recommend Killcopy rather. there is a need of good antivirus……nothing else. I’be been using it for decades. Martin, this is just a troll post, isn’t it? Because every program you listed is quite questionable. Because everything listed is already in windows, yet in more simple (baseline) way (so user can choose). Because Windows 9 – WTF? Because there are too many reasons to list them all. You’re provoking an response(s), which are much larger than original post. And by the question I’m answering to you’re doing that again. Isn’t this what is called “trolling”? // I’m caught… going silent again. Well Windows already have some tools bundled that are not only “basic”. Take Internet Explorer for example. People of course expect and operating system to have a built in search tool so then why not make as good as possible by including the speed of Everything. Nothing would prevent users from user a third party search tool anyway. Of course Martin is provoking a response. It is fun to chime in with ideas and wishes and I enjoyed reading all the suggestions. That’s why I did not list Firefox even though I thought about it for a moment. If you want Paint.NET to be in Windows 9, the upcoming OS should be bundled with the .NET Framework version that Paint.NET requires. Suggestions for programs that you want to integrate into Windows 9 have caveats depending on the suggested program and Microsoft may pay additional fees if it integrates certain third-party software into the upcoming OS. I was thinking that Microsoft could acquire the talent behind those programs instead of paying licensing for integrating it into Windows. Paint.net requires the .NET Framework 4.5 which shipped with Windows 8 and Server 2012. It should therefore not be a problem. Isn’t .NET built into modern versions of Windows? Replace the restoration of Windows with a soft similar to Rollback Rx. ROLLBACK RX IS NOT FREE. “dd” is all you ever need. You can even compress the image afterwards. IrfanView is kind of legendary to me. 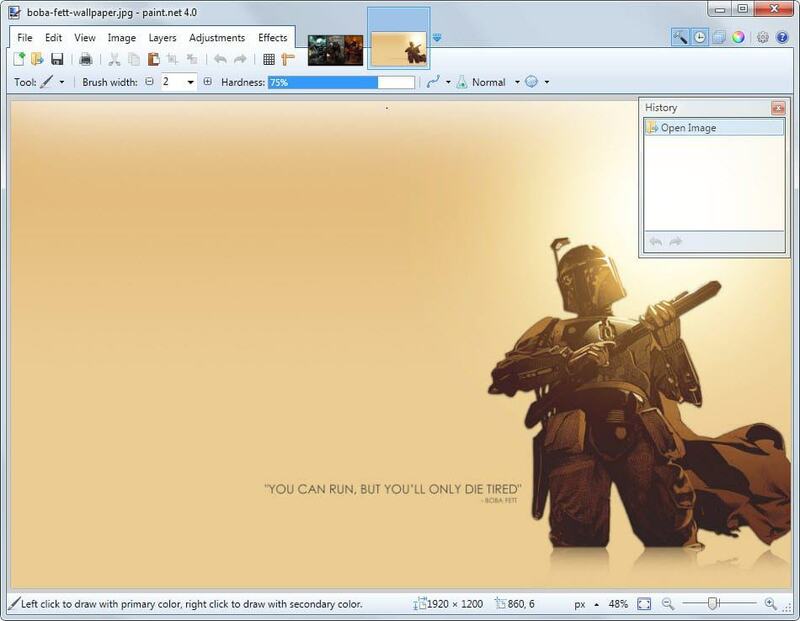 It’s an excellent viewer for just about any graphics file, built by Irfan Skiljan. It was first released in 1996 — 18 years ago! Most importantly, Windows should be modular: If you don’t want to install the Windows paint program or its media player or its unzipper, have the option not to. i think your suggestions make very good sense for the most part, so apart from a solid batch file-renaming utility i don’t have much to add. what i would like thogh is for ms to redesign some of their own utilities like the resource monitor, drive management and task planning. to be honest, i’m not completely aware how those tools look in win8 exactly, since i’m using 7 and only tried 8 for a short period of time, but my perception was that while they did a good job modernizing eg. the task manager, other parts of the os didn’t quite make the jump. I love your posts as they are so informative, opening my eyes to new software, new ideas, and I’m always willing to learn. But I also enjoy the input of all the commenters as they describe their experiences and share URLs for unknown (to me) sites and programs.Your whole site is a valuable education in computer operation, filled with tips and tricks so many people miss, and the cooperation of everyone is so appreciated. Windows 9?!!! I was just getting used to Windows 8.1… Actually, once you get the hang of it, it’s not so bad. I would include PhotoFiltre for basic photo editing and XnView as my picture viewer. Many of the suggestions you make fall under “Desktop Environment”. It hasn’t improved in functionality much since Windows 2000/XP. KDE is where they should look for inspiration. It covers all your suggestions and more. My biggest issue is the removal of AppLocker from all consumer available editions beginning with Win 8. This is my motivation for moving away from Windows entirely. IMO an OS that requires A/V and defaults to an Admin acct. is broken. AppLocker turned Windows into a relatively secure OS. I can’t accept going back to SRP (at least one POC has existed for years due to a lack of kernel-mode protection) and I won’t pay for an Enterprise license. EMET – I agree. I think most of Windows included software and services (spoolsv, etc) should be written to work with EMET and be enforced by default. It does break some 3rd party software if you’re not careful with the rules. How about a 3rd party software edition available for download? Set up a community driven forum or Windows Store where pre-defined trouble free rules can be downloaded. The 3rd party software update solution you suggest, while ideal, seems unmanageable. I propose they include Secunia Advisories for installed 3rd party software via Windows Update. Include a history tracker that puts consistently vulnerable software into a “Bad” category. This could encourage devs to write good code and/or audit existing code. It’d also prevent abuse by intentionally writing software with bugs that result in page hits and toolbar installs via updates. Anything more might require a lot of lawyers and result in a lot of upset 3rd party devs. Don’t you think it might be a better idea to deliver Windows as a basic OS and let everyone choose their own applications to install? After all, there are plenty to choose from, and it’s all entirely subjective, as proven by the variety and debate included in these very comments. I do however concur on the sandboxing component, should be compuslory in all OSs! what about something like Picpick or Faststone capture? a must have for me. i am happy with clamwin as antivirus. Though I’m of two minds about the whole idea of Microsoft integrating these. I mean it seems unlikely that Microsoft would start bundling the third-party tool VLC. That would be a possible security vulnerability. So Microsoft would need to buy/hire the project and the people working on it to recreate a VLC in house. That would end or slow work on the open source VLC, to the detriment of everyone else. Besides, chances are MS would then screw up and cripple VLC (DRM anyone?). Microsoft should instead focus on making Windows quicker and more customizable. Plus financing and supporting the third party eco system of windows applications. In short, throw money without any strings attached at Everything, VLC and other great tools. Then make it easy for Windows users to find those projects and to install/uninstall them. Only after reading these comments above do I realize how much less of a power user I am. Because I have no major complaints with Notepad, with Paint. Windows 8/8.1 removed all the major gripes I had. I have in-built PDF reader, in-built ISO mounting. Martin’s list is still reasonable. But the comments. I have never used an RSS reader, a download manager, SSH/Telnet and more. Then there are demands for eBook readers, database software etc. Why would Microsoft do this? To cater to the 5% of their users using this who will after that complain anyway because they don’t find the implementation at par? I don’t think they are going to do anything like this in Windows 9. Their focus is merging the two operating systems. At most, I would like Microsoft to include an Office file VIEWER by default in Windows – but the freaking anti-trust lawsuits. I tried to concentrate on programs that would be useful to the majority of users, that’s why I did not list awesome programs such as QuietRSS or Newsbin. 4. 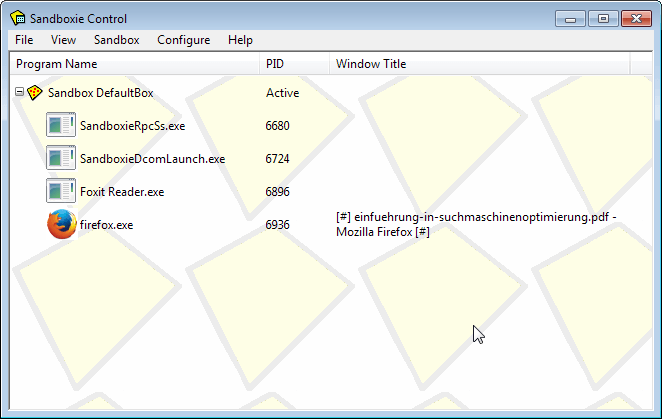 WinPatrol – added,light weight, security for your pc. 5. RevoUninstaller or Iobit uninstaller. I agree with the list and the idea behind it, but in my opinion Windows needs a much more extensive overhaul to its architecture and approach. Windows is, first and for most, a consumer (even if the users are businesses) grade OS. As such, many of the suggested applications, while being vary valid and reasonable changes/addition, are likely to make many (I would even risk to say most) users run for the hills, and will probably end up as being source of complaints rather than beneficial. Just imagine the average user having to deal with the concept of sandboxed programs. I can already imagine the class action lawsuit against MS from people who “lost” important sandboxed data after failing to use the sandbox correctly. Personally, I would much prefer for MS to clean up their act and change their approach into a more unified, useful, and controlled (not be mistaken with restrictive) experience. Windows users could benefit greatly by having better programs to improve current functionality or add missing functionality out-of-the-box, but I think that in this point in time MS is so far removed from reality and seem to have no direction (instead of making money in any way possible), that I wouldn’t trust them to do the right thing. I would actually don’t mind the opposite approach. A barebone version of Windows, with nothing but the kernel, interface and basic drivers to get one going. Then one could choose which programs and drivers to install. This doesn’t need to be a manual operations, some kind of a Linux-like resource center could be used. But I guess that this will not happen anytime soon. In the last decade or so they already showed contempt towards their users, and what they really think about them, so the identity of the “utilities” in the system is the least of the users’ worries (and probably ranks just the same on MS’ priority list), in my humble opinion. FreeComander is good but QtTabbar is a better option, it has so many options and of course F.lux and 7+ Taskbar Tweaker (select for some programs to show label and for some hide it). I use SwiftSearch – no indexing but really fast – it only works on NTFS volumes. This allows me to disable Windows 8 file indexing and just use SwiftSearch. Windows 7/8 file search as absolute rubbish! It ignores files that are there and just plain doesn’t work! Also it’s file contents searching is very buggy too. Windows XP search was much better! Well, my Activity Indicator. LOL! So one problem I’d like to see fixed in Win9 is addressing the new media: with machines moving away from magnetic media and pushing more into SSDs, you have some new limitations. These devices have a lifetime ceiling to the number of writes, so I’d really like to see a copy program for Windows that only addresses what’s changed or “delta” copying. It’s also radically faster when you only transfer 10k of a 100 meg video or Photoshop file with the most minor edits. The program I’d recommend to integrate of course is RSYNC, but I’ve had real difficulty finding something simple and easy for Windows. There is however a commercial program Bvckup 2 (bvckup2.com) but an unsupported, freeware beta available https://bvckup2.com/support/forum/#!/topic/98 Download: https://bvckup2.com/get/beta . How about something that returns file associations back to their default setting. e.g. If you associate .cmd files with an application and then remove that app., you cannot reset it back to the Windows default using any Windows tools except System Restore! i want MS to integrate “spek” into windows media player.it is very lite and useful app to detect true bitrate,fake/transcoded music files. It comes free of charge for personal use! At least our Software has German and English interface. Have fun! – Should I Remove It? btw: lots of great suggestions to add to anyones windows computer. For my two cents, one area needs great improvement is dual screens, with task bar with all right hand items on both screens like the clock. As for all other ideas, they are just candy dressing. No major help to newbies, but old pro’s would get good use out of most of additions. As for utilities like CCleaner, MS has this covered with Disk Cleanup. It takes couple of clicks to open the utility but it does work plus you can use the program to clean out windows.old folder. I would like to see provision made for having a fast SSD for the Windows OS, having the choice of where to install applications to (SSD or HDD) and choice of where the My Documents/downloads/temp etc folders will go on installation. Also the ability to move them easily. Also, the ability to fix default broken file associations (impossible to do in Win7/8 unless you fiddle with the Registry). Fast file search (like SwiftSearch) that doesn’t need indexing. + other fixes to Search to make it actually work! As a feature rather than a bundled program, I would really like to see Folder sizes. Not calculated on demand, but stored as a property of the Folder and updated whenever the contents are changed (cascading up to root). If each folder had the property, it would take no time at all to recalculate, disk space required would be minimal (no more than the folder name), and it would be an immense help in managing disk space! Thanks for the tips on Bandizip and Notepad2-mod (comments), by the way. I’ve been using TextPad (shareware, Regular Expression replacement functionality and syntax highlighting; no code folding, though, and the syntax highlighting occasionally get off when skipping through large documents) and Notepad++ (has become unstable under the heavy load to which I have recently subjected it, prompting a switch back to TextPad out of concern for data integrity). Notepad2-mod’s prompt regarding whether I want to open such a large file was a bit unsettling in that regard, but so far Notepad2-mod has been working well: I particularly like the pop-up Regular Expression quick reference window from the find and replace prompts and the custom word-wrap formatting features, and while it freezes up a bit when folding a 150 MB code document, I haven’t yet seen the glitches that have been bothering me in the other two. Hi – my suggestion – a way to prevent Windows (Win7x64Pro in my case) apps from stealing focus. The reg tweak no longer works. So a util or such may be needed. If I’m typing/using an app, there is never a situation where when another app starts or has something it wants user interaction for that I want that app to steal focus. It would be preferred if anything new just happened in the background and flashed the taskbar for attention, then you could get to it when you are ready to do so. I like that we used to be able to reg tweak Win7 to do that, and although you can perform the tweak, some update/patch MS did along the way causes Windows to now ignore the tweak. .Brilliant! Installed easily，used an office product key from &&& windows 8.1key sale ***on bing and then it worked fine , perfect torrent ,thx! WFC Windows Firewall Control ($10) Fantastic! Windows needs a stop-nagging-me button. I actually enjoy breaking my computer. Leave me alone! BTW Everything Search now supports hardlinks. You simply index the locations in the “Folders” tab, and make sure not to Exclude the targetted linked folders (such as winsxs.) You also need to be running Everything AS ADMIN and x64 if appropriate. For the few it misses run another x86 version of Everything. Indexing takes 1 minute. I keep a separate copy of Everything that I’ve set up just for this purpose. It allows me to use my filtered version and exclude such annoying folders as Winsxs, Drivers Backup, Recycler and Temp. I’ve gotten it to follow junctions before as well. Pointless but it’s nice to know it can be done. (I think I used a combination of File Lists and indexed folders.) It’s not hard to figure out.